Those considering a facelift in their golden years are often concerned that their older age increases the likelihood of complications with the procedure. While there are several factors that determine the most successful surgical outcome, studies have shown that age is not the most prevalent. In fact, one study published in the journal of Plastic and Reconstructive Surgery examined women of various ages who received facelifts. Results showed that facelift complication rates for the group of women over 65 were actually very similar to complication rates for the group of younger women. The facelift procedure is becoming increasingly popular among older generations, with over 82,000 procedures performed on patients over the age of 55 last year, according to statistics from the American Society of Plastic Surgeons. The patient’s overall health is actually one of the most important components to a quick recovery and a successful result. Poor health can influence a patient’s ability to withstand the trauma of the procedure and the effects of anesthesia, as well as the healing process. Since patients who are older often have more health concerns than younger people, certain tests may be recommended in order to determine candidacy. Stamina is usually a good general indicator of cardiovascular health, which is a primary concern with older patients. If you can walk a mile at average pace without shortness of breath or pain, your heart will probably tolerate most cosmetic procedures. If there is any doubt, you should get a stress test. If you have recently had a heart attack or you have experienced chest pain due to heart disease, is not likely that you will qualify for the facelift procedure. Smoking is also a major inhibitor to surgical success. Invasive procedures such as the facelift should not be performed if the patient has recently smoked. For the best result, you must quit smoking several weeks before surgery and abstain from smoking several weeks after surgery. 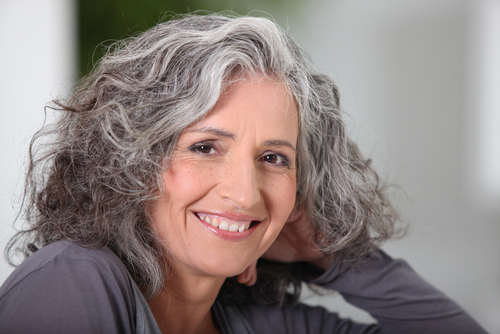 Don’t let your age deter you from getting the procedure you desire. During a consultation, Dr. Jeffrey B. Wise will thoroughly evaluate your health history to determine if the facelift procedure is right for you. Please fill out our online contact form or call 973-658-4019 today to schedule an appointment. We look forward to hearing from you!